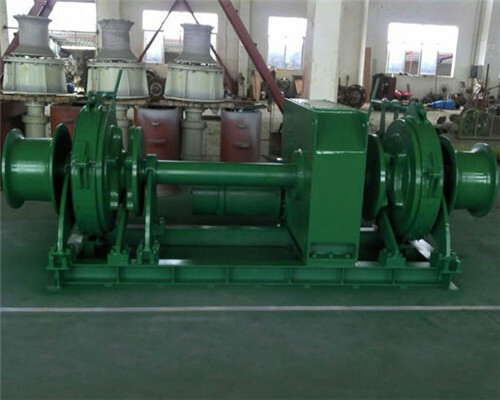 As a famous kind of windlass, the windlass gypsy is mainly made up of seven parts, they are windlass gypsy foundation, chain gypsy winches frame, input shaft, intermediate shaft, gypsy chain drum shaft, braking mechanism, and magnetic eddy current brake. After half century’s research and optimization, we adapt the panel type frame structure to design our windlass chain gypsy, using the sealed lubrication in the entire gypsy winches machine. The power force comes from motor transfer to the input axis though drive unit. 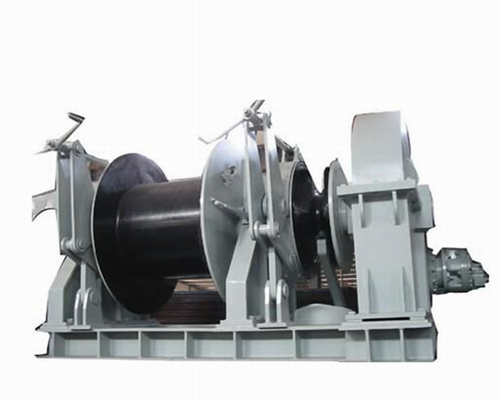 The chain gypsy winches will get four speed gears relying on the pneumatic tube clutch of intermediate shaft and the clutch with low or high speed on drum shaft, which not only can raise the power usage reasonably, but also benefit for use and allot the lifting speed of hook load. As a mature and qualified winch gypsy chain manufacturer, Ellsen Machinery Equipment co.,Ltd are quite confident to produce many kinds of gypsy chain winches for sale. For examples, according to your different function for the boat or in the shire or somewhere, we offer the such as them mooring winch gypsy chain, gypsy anchor winch or anchor gypsy for sale, and the gypsy head winches use. At the same time, in terms of the distinct structure and components, there is single drum gypsy head winch for sale, double drum windlass gypsy chain, or even the multi-drum chain gypsy for sale. As well as in the aspect of power supply, we have electric winch gypsy chain for sale, hydraulic gypsy chain, diesel chain gypsy winch for sale, and the manual chain gypsy winch use on the basis of your requirements. In additional, Ellsen is also capable to design and custom many your certain windlass gypsy with advanced technology and low price, just send your message for better service and perfect winch for gypsy machine. As we all know, sometimes, many parts’ quality in windlass gypsy anchor winch machine of course is important, however, if you didn’t installation them rightly, the entire chain gypsy winch isn’t work well. So many people will ask what we can do to assemble the gypsy head winch correctly and make full use of these best and well-performance gypsy head winches parts? I think that there will be three steps to help you get your perfect chain gypsy winch use machine. First, what the most important and essential step is that you should test and examine whether these accessories is at work or not. Such as the gypsy winch bumper and winch gypsy wheel, as well as the other winch gypsy parts. Only these components of windlass gypsy work well, your entire gypsy anchor winch or mooring winch gypsy equipment can enjoy better performance. Second, this is your choice. 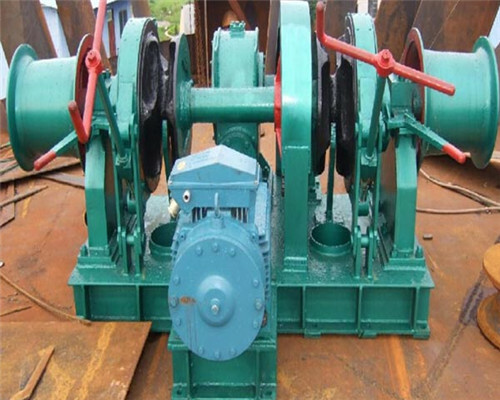 If you have enough capital budgets, you can order a gypsy winch use, making our professional gypsy head winch experts help you assemble it, then just test the windlass gypsy winch use machine, or just look at the test result report about this windlass gypsy. Third, of course, you will choose assemble your winch for gypsy by yourself. Our professional engineers will offer you rich related knowledge and make sure the best gypsy winch you can get. 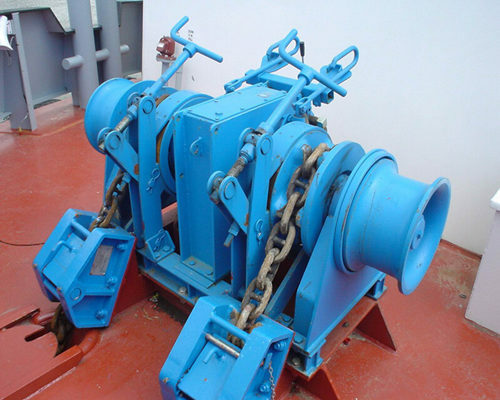 Over 200 specialized engineers are here to help success to use a windlass winch. Our skill and dedicate team of experts is ready to assist. You will get fast reply whether in call or email. We can guarantee that our entire gypsy windlass is produced on the basis of international standard. And fully text can be offered before you buying. The profound pre-sale and after-sale service ensure you will purchase perfect winch. We store a certain amount of replacement components, which is convenient for our customers to alter or reserve. With rigid steel structure and advanced technology, the gypsy windlass is ideal for lift, move or drag tasks.